« Small is beautiful » – this saying applies to Luxembourg’s wine-growing region as it does to the charming Grand Duchy in the heart of Europe. A wine route, 42 km long, extends along the banks of the river Moselle between Schengen and Wasserbillig.The majestically manicured vineyards, steep and craggy in places, lie at an altitude of 150 to 250 metres above sea level. Less sunny than its counterparts in southern climes, Luxembourg’s Moselle Valley is one of the northernmost cultivation areas for quality wines. This requires a high degree of commitment, technical expertise and ability from the Luxembourgish winemakers. They are the ones that have developed Luxembourg’s white and crémant wines into authentic, honest premium products in just a few decades, that can easily stand their own with all renowned names of their kind.More and more connaisseurs, at home and abroad, appreciate this. The « AOP – Moselle Luxembourgeoise» quality label gives them the certainty that they drink a very special wine. 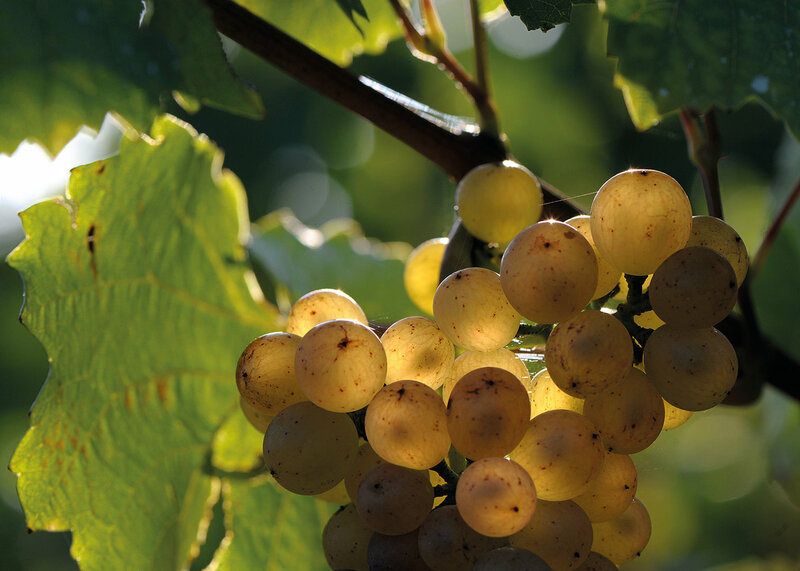 Wine-growing in the Moselle Valley can look back to a long and proud tradition. Already in 370 A.D, the Roman poet Ausonius described how the higher parcels on the slopes rising from the banks of the Moselle were planted with vines and the river plains were used for agriculture. The monasteries perpetuated the wine-making tradition in the middle ages. 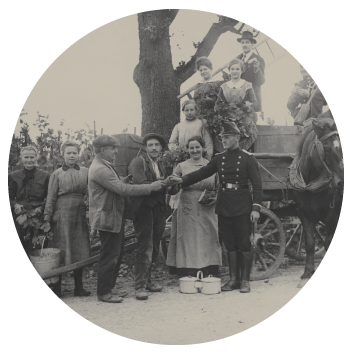 This warmer climatic period witnessed an expansion of viticulture to the entire country up to Ösling. These vineyards disappeared again after the Great Frost of 1709. Only the vineyards in the milder river plains survived – as we know them to the present day. The 20th century has gone through multifaceted changes. The destruction of the vineyards by phylloxera, the two World Wars, as well as upheavals brought about by the markets have forced vintners to redirect their efforts and to adapt to the prevailing circumstances. This has led to a fundamental change in the spectrum of cultivars, marketing methods and the idea of quality. The traditional tuns were replaced by modern stainless steel tanks in many cellars already in the mid 1970s, to confer a fresher and more fruity character to the wines. Consultancy and professional training gained ever greater importance, and this was reflected in the wine style. Vinification techniques such as maturation in oak barrels were adapted and new cultivars were tested. New wine styles and products emerged such as Crémant de Luxembourg and the speciality wines. The quality in the bottle originates in the vineyards. Knowledge of the natural processes as well as the utmost foliage and soil care are the prerequisites to the production of a premium wine. Pruning is the first step to grape yield regulation. Coordinated soil and foliage work help the vines to grow and mature under optimal conditions through the entire vegetation period. The high point for all vintners is undoubtedly the grape harvest. They broach this last operation with great joy and hope, because they are now going to be rewarded for the many arduous stages during the vegetation period. The grapes are fully ripe, brightly coloured and taste very sweet. If the ripening parameters sugar and acidity correspond to the ideal values, then vinification can get under way. Modern vinification methods: Once the grape harvest has ended and the wine cellar is well filled, the cellarers and oenologists come into play, to produce full-body wines from the high quality grape material. 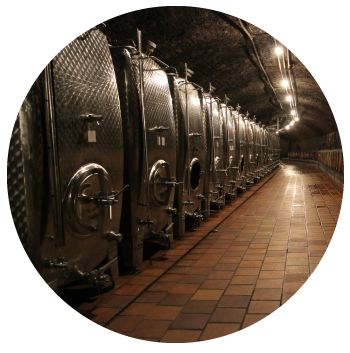 Modern cellar equipment and a deliberate choice of steel tanks or wood barrels give the wines their final touch. To meet the economic and climatic challenges in wine-making, the government of Luxembourg, the Institut Viti-Vinicole ( IVV ) and the Luxembourg Institute of Science and Technology [ LIST ] conduct research projects over several years. It makes perfect sense to characterise the influence of the terroir on the wine style with greater precision. 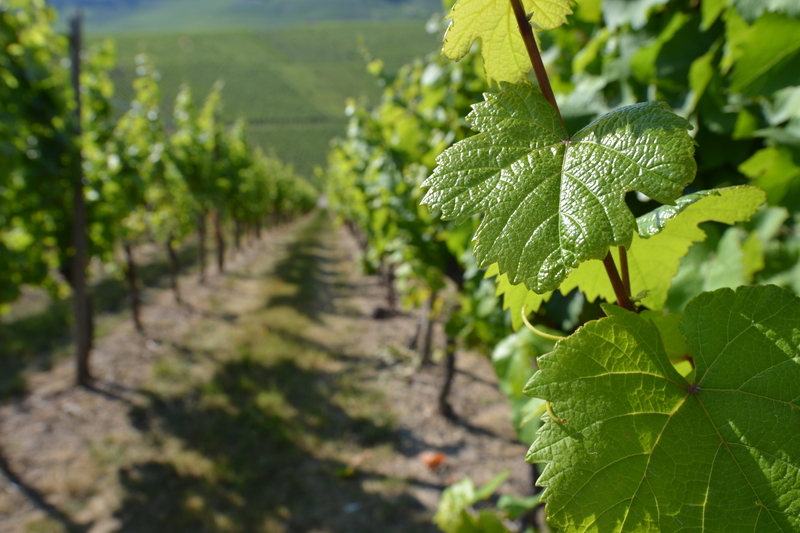 This is precisely the purpose of a research project initiated by IVV and LIST, entitled « Influence of terroir on the typicity of Riesling wines from Luxembourg’s Moselle Valley. » The concept of « terroir » is gaining importance in the international wine segment. 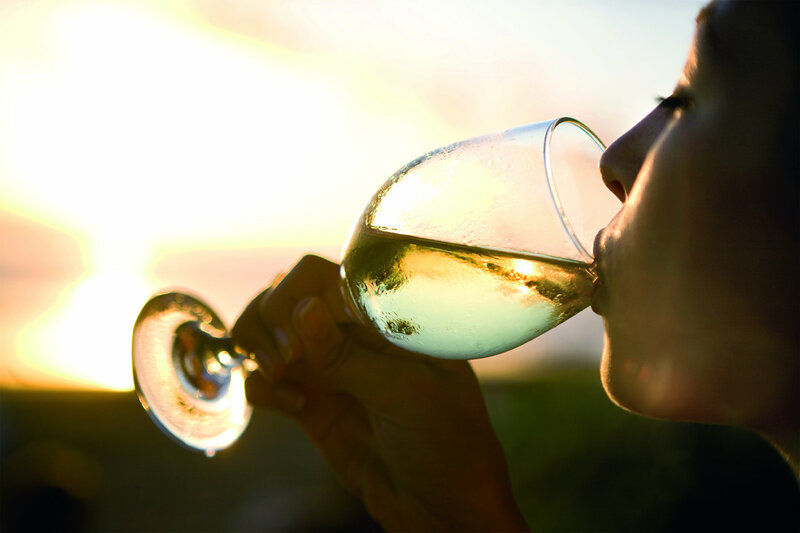 Critical, open-minded consumers are interested in the origin and individual character of their wines. The terroir project will accordingly help Moselle wine from Luxembourg to communicate the typicity and diversity of its terroir even better. The three-year Provino research project was initiated as part of the national implementation of EU Directive 2009/129. This requires the implementation of all plant protection measures relating to location, cultivation and situation for the sake of good practices. The use of pesticides is to be limited to the degree necessary. The main emphasis of the project sponsored by the IVV and LIST is to minimise the use of pesticides through innovative wine-making strategies. DOMAINE ET TRADITION, CHARTA SCHENGEN PRESTIGE and CHARTA.PRIVATWËNZER are initiatives committed to the production of exquisite lines. First-class, sloping or terraced vineyards, strict requirements, quantity limitations and stringent controls are preconditions to marketing under the charta wines logo.